Maserati was established in 1914 as a family-owned workshop, named after the Maserati brothers who were involved in motorsports since the beginning of the century. As a logo for the newly-established brand, the Maserati chose Neptune’s trident that crests the Fountain of Neptune in Bologna’s Piazza Maggiore. 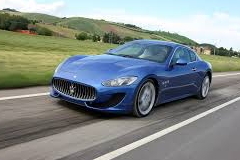 Just like Ferrari and Lamborghini, Maserati developed and produced racecars back in the beginning of its history, which were known for wining all kinds of motorsport championships. 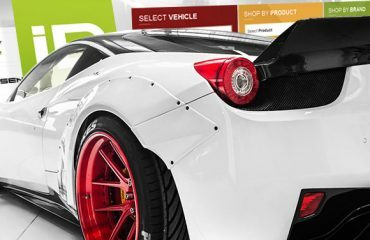 However, as the brand was gaining prominence in Europe and, eventually, all over the world, it departed from motorsports in favor of road vehicles. 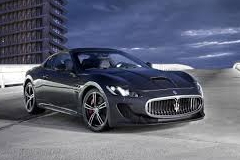 Since 1993, Maserati has been owned by Fiat, an international automotive corporation. Its headquarters are located in Modena, Italy. People apparently love Maserati for beautiful race cars that offer both jaw-dropping appearance and adrenaline-rushing performance. It’s never boring to look at these beauties, so let’s do just that. 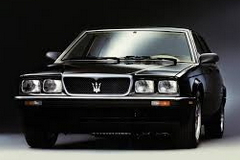 The Maserati 228i was a gran turismo coupe based on the Maserati Biturbo and manufactured during 1986 – 1992. Intended to enter the same marketplace as the Mexico and 3500GT in the past, the 228i was larger and more powerful than the parental model. Its engine, a 2.8L biturbo V6 with fuel injection, was able to accelerate the car weighing 2,734 lb from 0 to 60 mph in less than 6 seconds and keep the acceleration up to a 146 mph mark. The 228i was a limited-production car. During a six-year production run, only 469 units were assembled. The Maserati 425 along with its domestic-market version, the 420, was the first 4-door representative of the Biturbo line available since 1981. The 425 was officially available in the USA and Canada for only 1986 and 1987 model years. As well as other U.S. Maseratis of the era, the 425 had a fuel-injected engine with a catalytic converter that decreased power, allowing, although, for passing emissions tests that were considerably stricter than those in European countries. The total number of 425 models built is 2,372 units. Subsequently, the 425 was replaced with the 430 model. The Maserati 430 debuted in 1986. The model was shipped to North America equipped with a fuel-injected engine (having an “i” letter in the name to denote it). The powertrain was composed of a 2790 cc V6 rated at 225 horsepower and either a 5-speed ZF manual or a 4-speed automatic transmission. Over its lifespan, the 430 was serving as a flagship of Maserati’s 4-door Biturbo line. It featured 15″ alloy wheels, leather upholstery, and multiple interior conveniences that provided an exceptionally high level of comfort for the occupants. 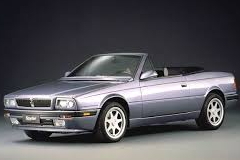 In the USA, the model was officially available for 1989-90 model years, replaced by the Ghibli subsequently. 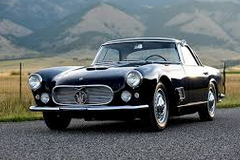 The 3500GT’s launch in 1957 has marked an important milestone for Maserati, as it became the first mass-production model and the first GT car released by the Italian manufacturer. 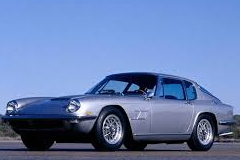 Powered by a 3.5 L Tipo 101 I6 engine rated at 217 bhp (232 bhp in late versions) that transmitted torque to either a 4-speed or 5-speed manual gearbox, and weighting only 3,175 lb, the 3500GT was praised as one of the quickest production cars of the era. The 3500GT line consisted of coupe and convertible versions that differed notably. Production of the 3500GT was phased out in 1964 in favor of the Sebring that made its debut in 1962. 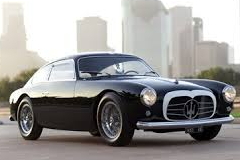 The Maserati A6G was part of a large A6 series produced by the company in cooperation with Zagato, Vignale, Ghia, and other coachbuilders from 1947 until 1956. The letter G stands for ‘ghisa’ (cast iron in Italian), the material the engine block was made of. Featuring the chassis, engines, and all other mechanicals manufactured by Maserati itself, A6G models had custom body shells supplied by coachbuilders, which is why their appearance differs considerably. All A6Gs were equipped with a 2.0 L I6 engine and a 4-speed manual transmission. Rated at 90–100 hp, the engine provided a top speed of 112 mph. As a limited-production, custom-bodied car, the A6G is a valuable collector’s item nowadays. 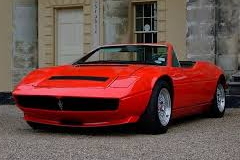 The Biturbo was the name for a line of small luxury cars offered by Maserati between 1981 and 1994. Originally applied to a 2-door, 2-seater notchback, the nameplate was soon given its own subseries that included 4-door sedans, convertibles, and coupes of various sizes, trim and price levels. The common feature of all Biturbos was a V6 engine equipped with two turbochargers (hence the model name) that, although, varied by a displacement, number of valves, fuel delivery system, etc. 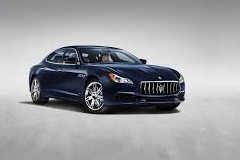 Subsequently, the Biturbo line was succeeded by the Quattroporte. The Maserati Bora debuted in 1971. Unlike other Maseratis of the era that were criticized for outdated engineering, the Bora was praised for a number of advanced mechanical solutions implemented in its design. It featured a mid-engine, rear-wheel drive platform complemented by a low-profile, aerodynamically-efficient body with a rather utilitarian cabin and a spacious trunk in front. Propelled by a 4.7L V8 (4.9L in late versions) and a 5-speed ZF manual transmission, the Bora was capable of 171 miles per hour, being one of the fastest cars of the time. The total number of Boras produced is 564. The Maserati Coupe and its convertible-bodied sibling, the Spyder, were introduced to the North American market in 2002. The two were commonly known as the 4200GT, reflecting the displacement of the engine they were powered by. Designed by Giorgetto Giugiaro of ItalDesign, the Coupe had a magnificent, attractive exterior that was extensively praised by the automotive press of the time. The North American debut of the model in Spring 2002 marked the return of the company after an 11-year-long hiatus. A high-performance vehicle that can provide 4 occupants with a high level of comfort, the Coupe gained a well-earned popularity nearly everywhere it was officially offered. The Ghibli is the name for three mechanically unrelated Maserati’s cars intermittently produced since 1967 up to nowadays. The original Ghibli was available in 2-door coupe and convertible body types between 1967 and 1973. It was a front-engine, rear-wheel drive high-performance vehicle equipped with a 4.7L (4.9L in late versions) carbureted V8 and a five-speed manual gearbox (a three-speed automatic unit was optional). Thanks to its ultimate performance and fantastic look, the car became exceptionally successful. This resulted in the Ghibli’s resurrection in 1992 and again in 2013. The third-generation Ghibli is largely based on the contemporary Quattroporte. It’s officially available in the USA. The GranSport was a high-performance version of Maserati’s Coupe and Spyder models introduced in 2004. Intended to meet the needs of motorists who require the highest sophistication, the GranSport was slightly faster and better looking than the original models. Also, it had a lowered Skyhook active suspension. Launched to expand both Coupe and Spyder ranges, the GranSport was available in 2-door coupe and 2-door soft top convertible body styles. The GranSport series was ceased in 2007, just after the parental models’ end. Debuted in 2007, the Maserati GranTurismo came to replace the GranSport in the role of a top-of-the-line 2-door grand tourer. 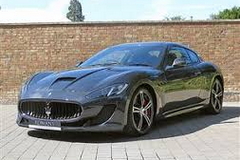 Developed under auspices of Ferrari, the GranTurismo was largely based on the Ferrari 599. It was also related to the Alfa Romeo 8C Competizione, the product of other Fiat’s subsidiary. However, the GranTurismo received its own unique look and upholstery made of top-grade leather. As well as the predecessor, the GranTurismo was available in both coupe and convertible (the convertible version is referred to as the GranCabrio) body types, featuring, although, a significantly more spacious cabin than the GranSport. The Maserati Indy was launched in 1969. Named as a tribute to the Race Indy 500, at which Maserati won twice, the Indy was intended to succeed the Sebring model as a large 4-seater grand tourer designed for the North American market. The vehicle featured a front-engine, rear-wheel drive configuration that was traditional for that time. Equipped with a mighty V8 engine, capable transmission, and possessing an aerodynamically elaborate body with pop-up headlights, the Indy was one of the fastest road cars of the era. Its production was discontinued in 1975, after 1,104 units had been assembled. 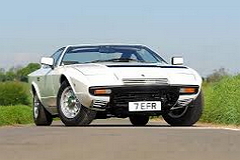 The Maserati Khamsin was a high-performance sports coupe produced by the Italian manufacturer from 1974 until 1982. The model was developed at the time when Citroen owned Maserati, which is why it received some mechanicals also used in Citroen’s cars of the era. 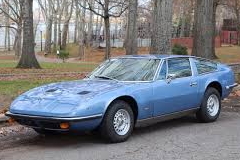 In the USA, the Khamsin went on sale in 1975 after being adopted to meet U.S. safety and emissions requirements. Its magnificent, streamlined exterior, superior performance characteristics and uncompromised comfort gave this car favorable acceptance. The total number of Khamsins built is 435 units. The Maserati Kubang was a concept vehicle that was first shown in Frankfurt in 2011. 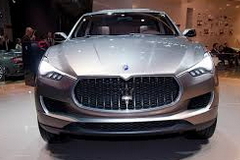 The first SUV ever introduced by Maserati, the Kubang went in production under the Levante name three years after the debut. A luxury SUV that features sporty performance and a magnificent exterior design, the Kubang generated lots of buzz at its debut. Many automotive experts relegated the Kubang to the most expected vehicles of the time. The Maserati Lavante was a production version of the Kubang concept that went on sale in 2014. 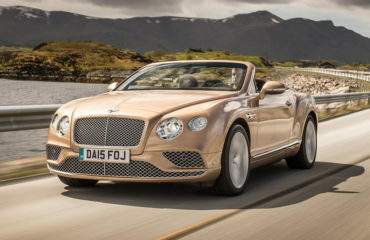 It comes with four-wheel drive, an 8-speed ZF automatic gearbox, and a turbocharged 3.0L V6 engine. 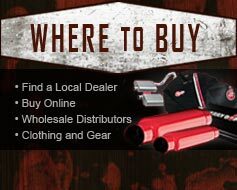 All these features provide notable performance characteristics both on and off the road. 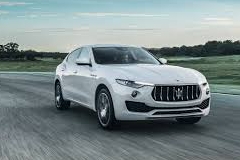 With its spectacular, eye-catching appearance inspired by traditional Italian sports cars, the Levante was favorably accepted by the automotive press. 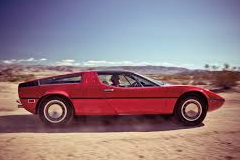 The Maserati Merak made its debut in 1972. Intended to be a lower-trim, less expensive alternative to the ultimate Bora, the Merak received a smaller engine (a 3.0 L V6 instead of the Bora’s 4.7 L V8), altered exterior design, and a slightly more austere options list. However, thanks to a smaller engine, the Merak got a significantly larger interior volume, which allowed the addition of the second row of seats. The Merak was in production for eleven years. Besides the ordinary Merak, there were the high-performance Merak SS and Merak 2000 GT. The last, 1,830th Merak was assembled in 1983. The Maserati Mexico was a large grand tourer produced in the 1960s – 1970s. As well as a great majority of luxury cars of the era, the Mexico was primarily focused on North American customers and entered the U.S. market soon after the debut at the 1965 Salone di Torino. Featuring its own unique appearance and a 4-seater cabin with a specifically designed upholstery, the Mexico, although, utilized the chassis and most of mechanicals taken from the 5000 GT. The car was powered by either a 4.2 L Tipo 107 V8 or a 4.7 L Tipo 107/1 that could be mated to a 5-speed manual transmission or 3-speed Borg Warner automatic, installed optionally. 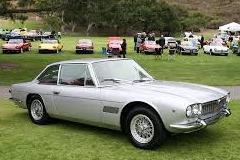 The Maserati Mistral was a 2-door sports coupe launched in 1963 and produced until 1970. Introduced as a successor to the cult 3500 GT, the Mistral was available in 2-door coupe and 2-door convertible body styles. The model was named after the cold northern wind that blows in Southern France, giving birth to the naming tradition followed by the Bora, Ghibli, and other Maserati cars called after winds. Featuring the powertrain composed of an I6 engine (3.5, 3.7, or 4.0L) and a 5-speed ZF manual transmission, the Mistral was capable of developing up to 145 mph and reaching 60 mph in less than 7 seconds, which made it one of the fastest cars of the era. Intermittently offered since 1963 up until today, the Maserati Quattroporte is the longest-running model the Italian brand has ever released. 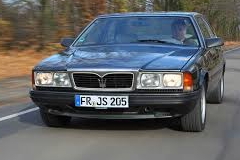 Throughout its long history, the Quatroporte underwent five generations, introduced in 1974, 1979, 1994, 2003, and 2013. 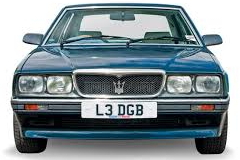 Over its long production run, the model was a top-of-the line, high-performance four-door sedan (the word “quattroporte” means “four doors” in Italian). 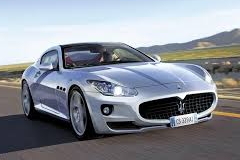 It has accumulated a great brand equity, which inspired Maserati to reintroduce the model repeatedly. 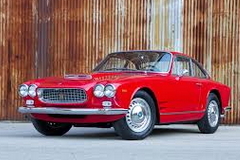 The Maserati Sebring was a successor to the 3500 model launched in 1962 and produced until 1969. Spanning seven production years and two subseries (the Series I offered until 1965 and the Series II available until the model’s end), the Sebring had only a limited number of units to be assembled (593 cars only). The model was initially oriented on North American customers and was named after Maserati’s victory in “12 Hours of Sebring” in 1957. The Maserati Spyder was a 2-seater sports convertible manufactured and offered between 2001 and 2007. Together with the Coupe, the Spyder belonged to the 4200 GT range that came to replace the 3200 GT (never officially available in the USA). As well as the coupe-bodied counterpart, the Spyder had an upper-level, high-performance version marketed alongside; it was called the GranSport Spyder. 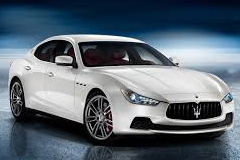 Introduction of the series has marked Maserati’s return to the North American market after an 11-year-long break. The model turned out to be rather successful. Its favorable acceptance by the automotive press and experts also helped to pave the way to success for the succeeding GranTurismo.